This one is growing happily in partial sun, began blooming a few weeks ago. 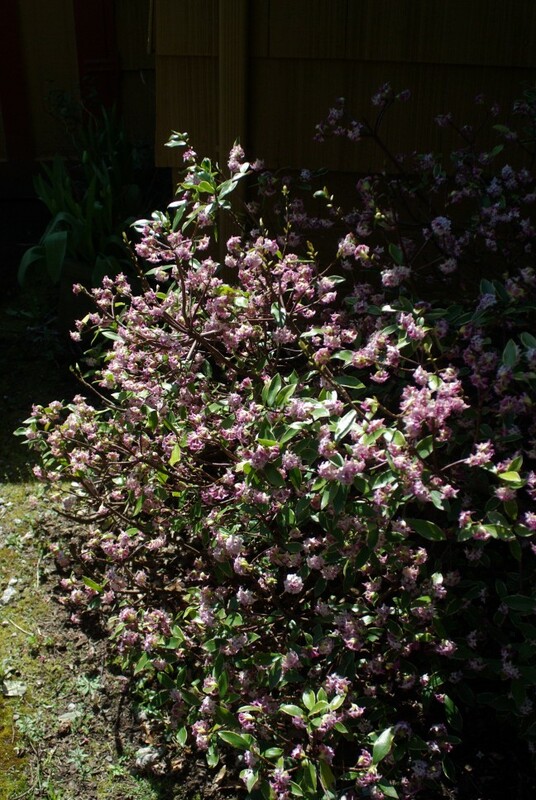 Extraordinarily fragrant- sweet, almost like a rose but more... substance. I don't know how to describe. P.S. If you put your general location into your profile, it will show up in the margin on your posts, like "El Cerrito" does on mine. It will give members an idea of what plant IDs might make sense or might not, given where you live in the world. Helpful Gardeners live in many countries, both north and south of the Equator. You needn't give your town; "Victoria, Australia" or "upstate New York" or "the Midi" are excellent descriptors. Ok. fixed the location. Thanks. I don't think this is a jasmine. The shape of the flowers isn't right, to my way of looking- and the way they cluster seems different. Am I wrong on this? I'm really stumped on this one. Anyone else have some ideas? I'll be heading to the nursery in a few days... but was hoping for a fast, internet-speed answer. 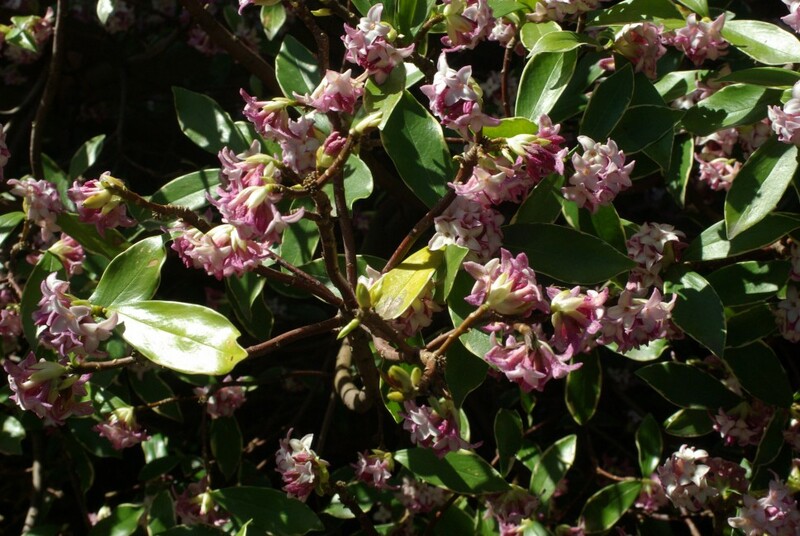 I'm almost certain the shrub is daphne, most likely Daphne odora. Mine is blooming right now, and it's so lovely. That's IT! It IS! Yehaaa! Thank you so much for helping. Hm. Looks like a finicky plant has found a perfect spot- so I won't do too much to it. Also looks like they aren't long lived. Oh well. Its scent is amazing and by the carriage house, so when I get out of the car and walk to the front door- or when I'm opening up the carriage doors to the car in the morning, the scent greets me. So perfect. Fragrant Shurbs and Small trees. Need suggestions for fragrant hedge plants.